This is Ilze writing. 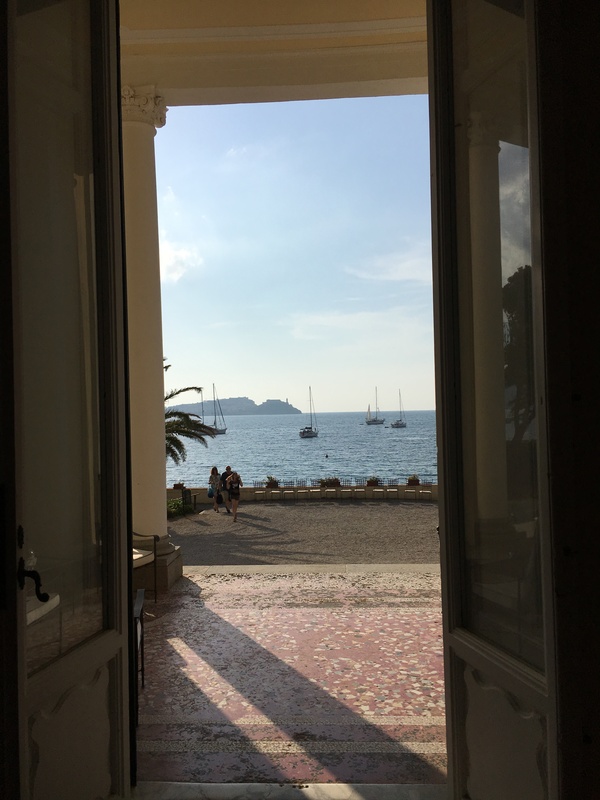 I wanted to tell you a little bit about how I feel after the second season of Dolce Mama. In the beginning of this project I could never imagine I will meet so many amazing mamas and kids. Every one of you so beautiful and unique inside and outside. I have to confess, starting Dolce Mama I was a little bit concerned about the communication with so many people that are complete strangers to me. 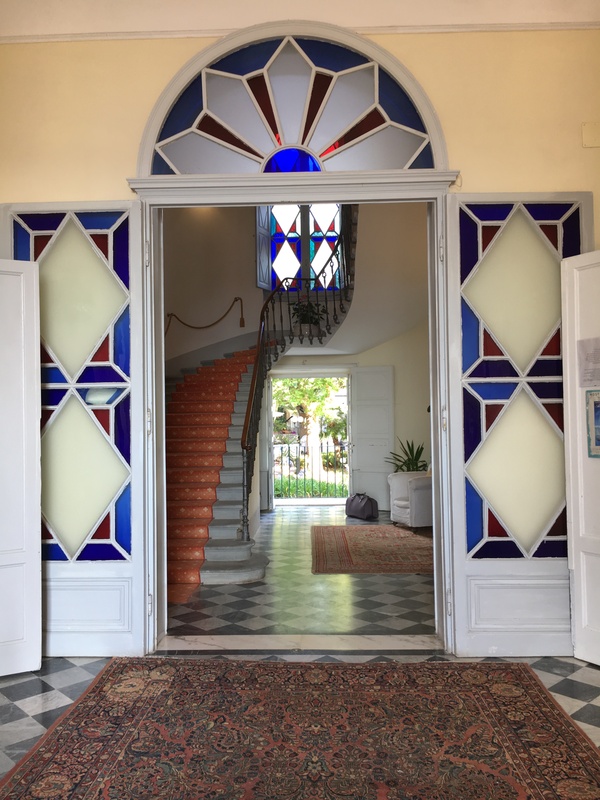 I have never been too shy as a person, but to be honest the scariest moment for me is the moment everyone arrives in the villa, after the long trip, everyone is also tired. It’s such a short moment of time where so much needs to happen and it has to happen the best possible way. Introduction, offloading from the transfer bus, showing the rooms, etc. Usually everyone is tired but excited. And I am worried if everyone is ok, everyone likes their rooms, is feeling good, what do they think about the villa, the team… And the strangest thing is after 30 minutes when we sit down and have dinner everyone instantly feels like family, communication is flowing and it feels like we have been friends and family for a long time. As the week goes by, the feeling just confirms more and more, spending time with each one of you, taking care of your children, listening to your story, or just talking about life. Somehow I can’t explain the feeling but I feel so close to you and I love it! I love how much you trust us, and how much you want to share with us. It’s a good feeling to realize it. It’s so good to see how many of you come out of your shell by the end of the week, when you look at the same person and you think – who is this pretty mama? She is smiling, happy, relaxed. This time for yourself and time with your child is the most precious time and away from reality of everyday life, cooking, cleaning and doing laundry, you actually had time to yourself and quality time with your child. 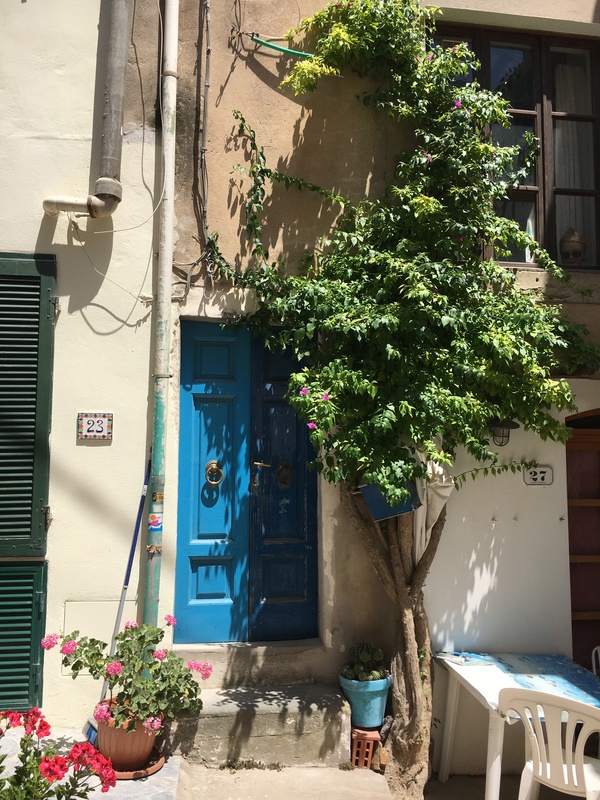 Then comes all the bonus things – relaxation in yoga and meditation, beauty treatments, enjoying delicious meals, exploring towns and the sun! Please, please don’t forget that, don’t let the motherhood change the person you were before kids, just because you had your child. Bring back the painting you did before, go and see movie even if you are alone, call your other friend with child and do lunch outside with kids (messy but fun), go to a music shop and listen to all the new albums while your child sleeps in stroller, stop making excuses that you can’t do things anymore since you have a child. You will be surprised how much you can still do with them! Is it going to be harder? Yes! Will it take more time planning? Yes! But at the end it will be so worth it! See you next season in Sansepolcro or Elba! 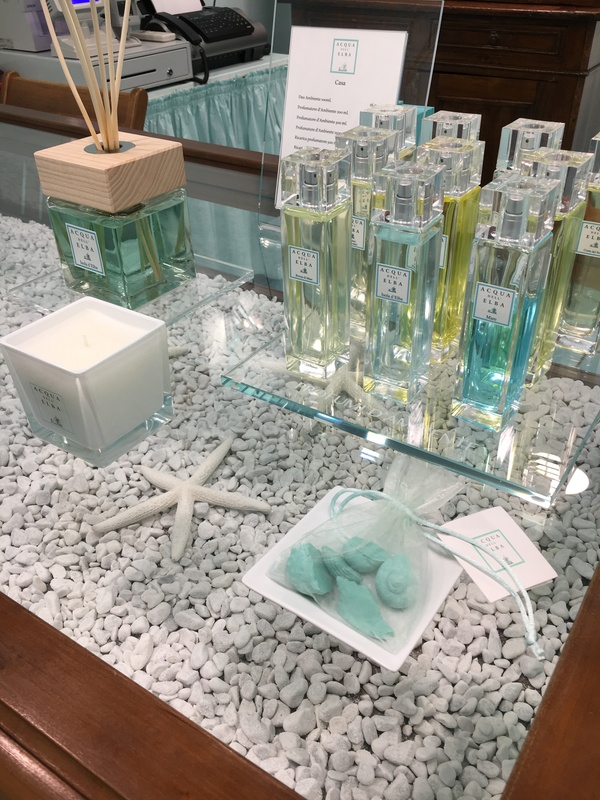 New year, new me…new DolceMama! This is a post about different Tuscany. After all these years travelling to Tuscany I could not imagine that Tuscany can also be this different. 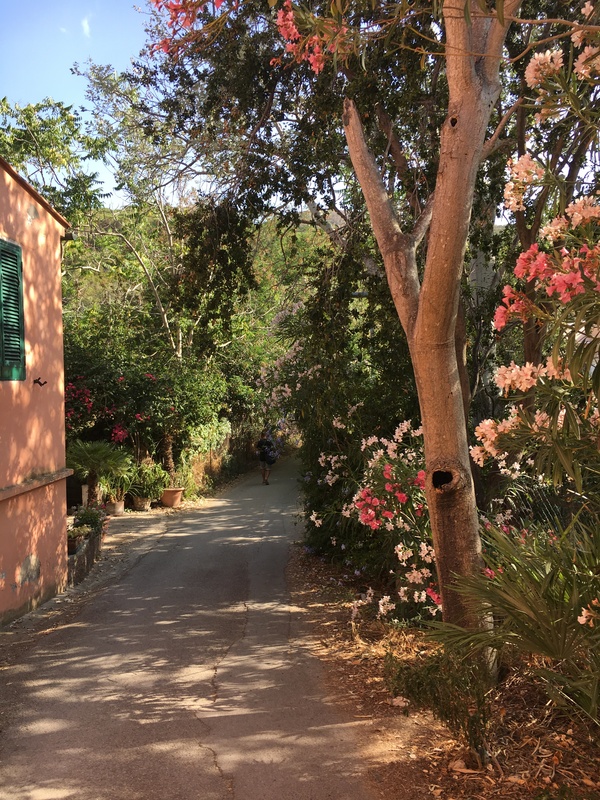 Your typical image is rolling hills, cypress trees, stone built villas, vineyards, and this is Tuscany I fell in love with, this romantic, dreamy, delicious land of great food, wine and people. 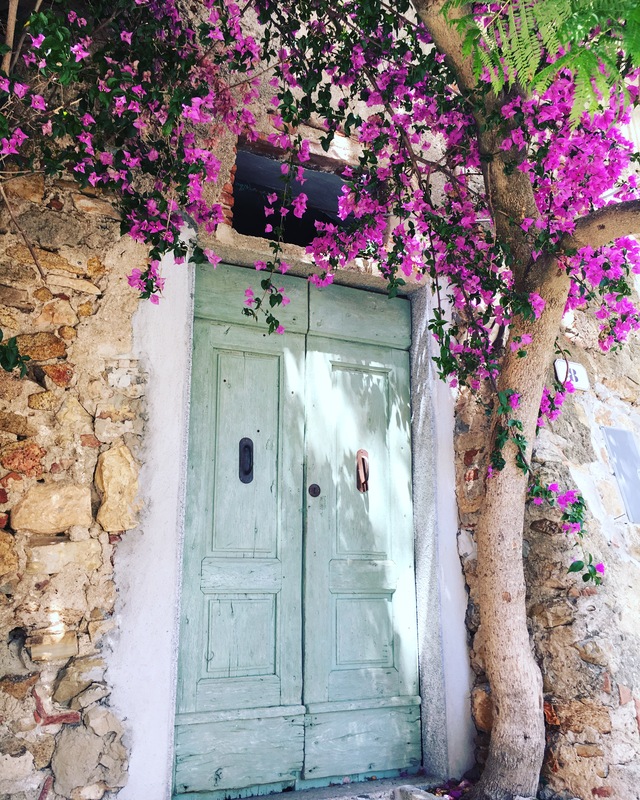 This is Tuscany I have been inviting moms to come and explore this year, because I want to share this love and let them experience it too, because, as we all know, moms deserve it all, more than anyone else. Tuscany is large region, and travelling around it, you start to notice change of scenery and landscape, that is typical only to that region. Starting from foothills of Apenine mountains where Lucca is located, forwards to La Svizzera Pesciatina (yes Italians have their own Switzerland inside their country and it’s magnificent! ), down to majestic Florence and Chianti wine region. The most visited Siena and Arezzo area, ever popular by the movie “Under the Tuscan sun”, with the most Tuscanicious postcard views from the whole area. Then moving down towards coast where Pisa and Livorno – two major port cities of Tuscany are located. 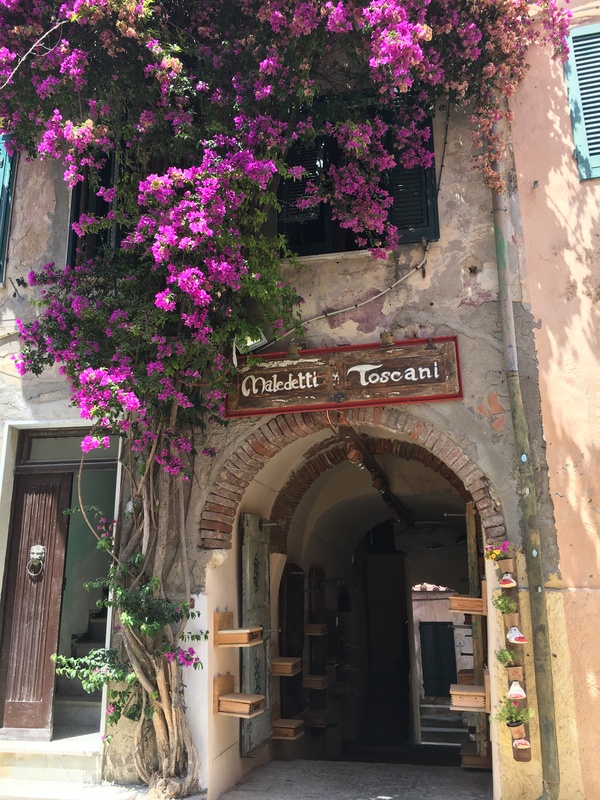 But this time the story is about archipelago Toscano. Yes Tuscany has it’s own archipelago of islands. 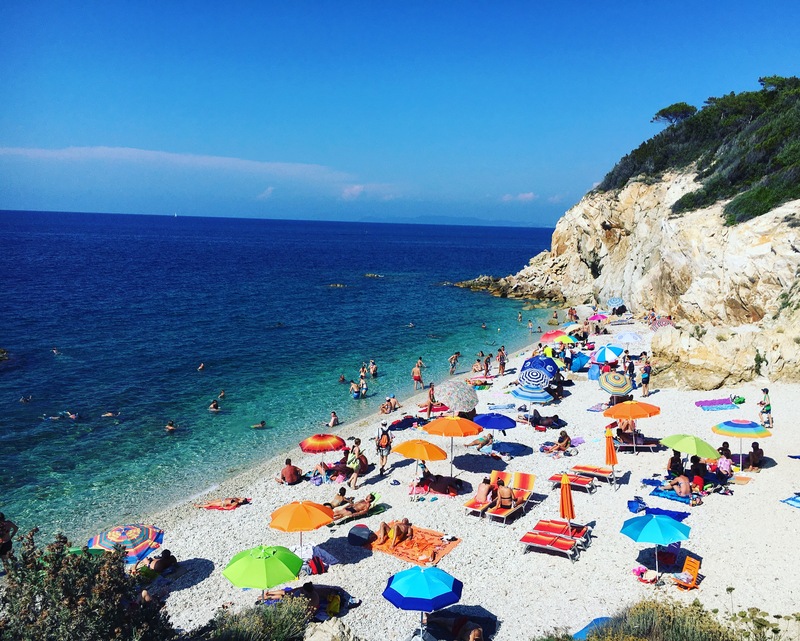 It consists of 7 islands off the coast of western Tuscany between Ligurian Sea and Tyrrhenian Sea. 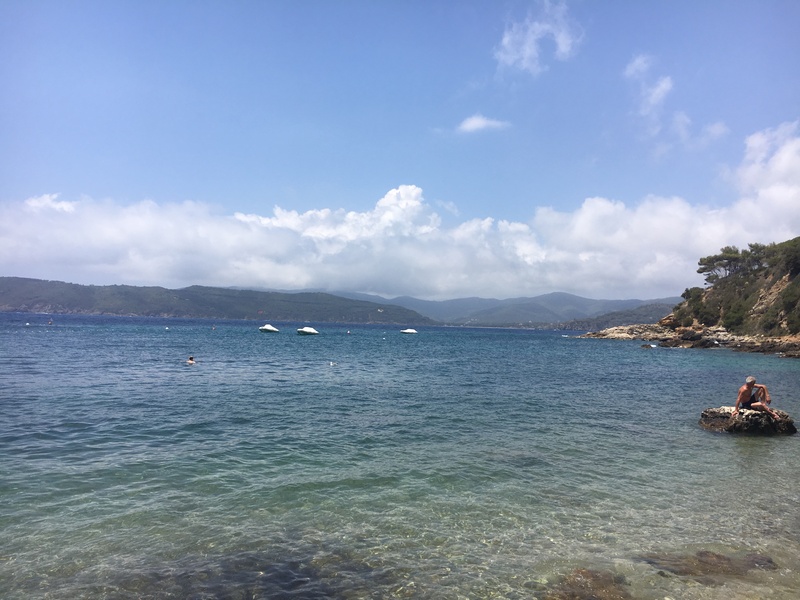 The largest one of them is Elba, and that’s the one we visited and I found my new true love in Tuscany again. 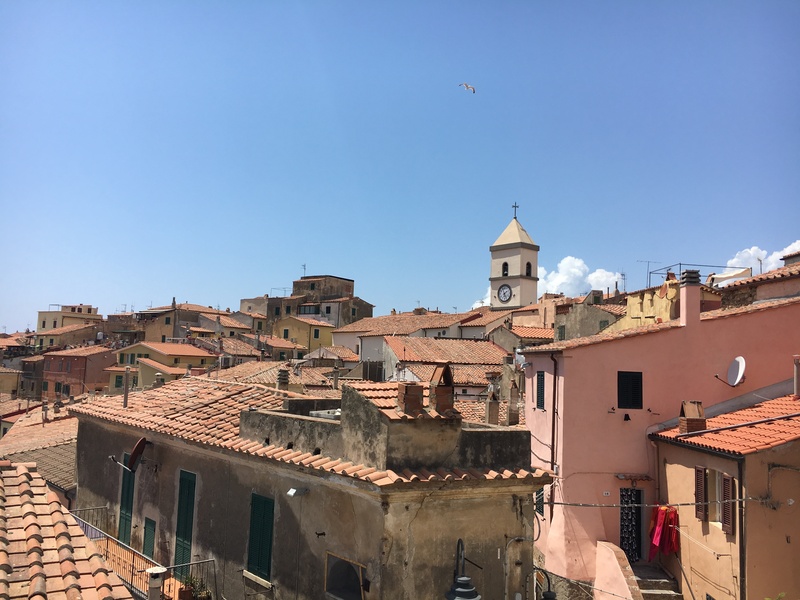 Our trip starts by travelling with a car to town of Piombino, where we take a ferry to island. 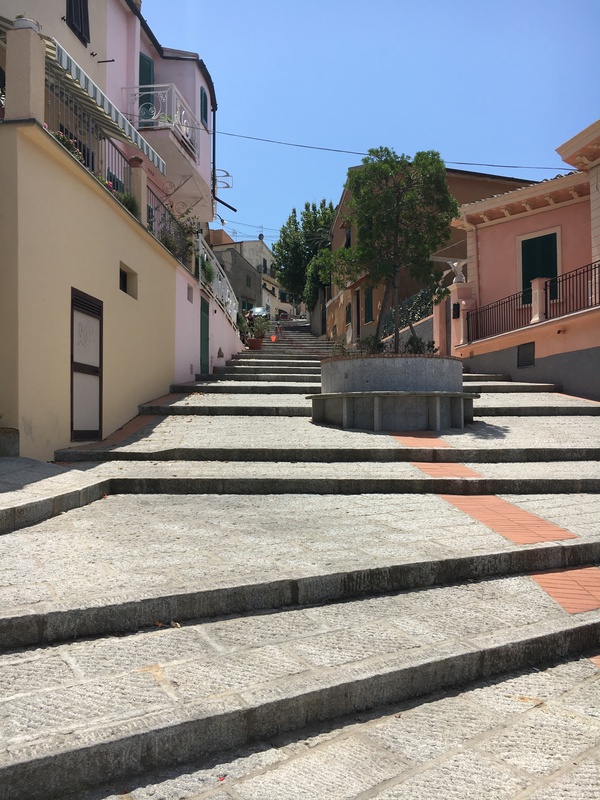 There are different ports to go to, but we choose Porrtoferraio, the biggest town on the island. This trip is just me and Lorenzo, my husband. Our child is staying with Italian grandma, on the mainland, finally. We have few days to ourselves to enjoy and celebrate our three years wedding anniversary. 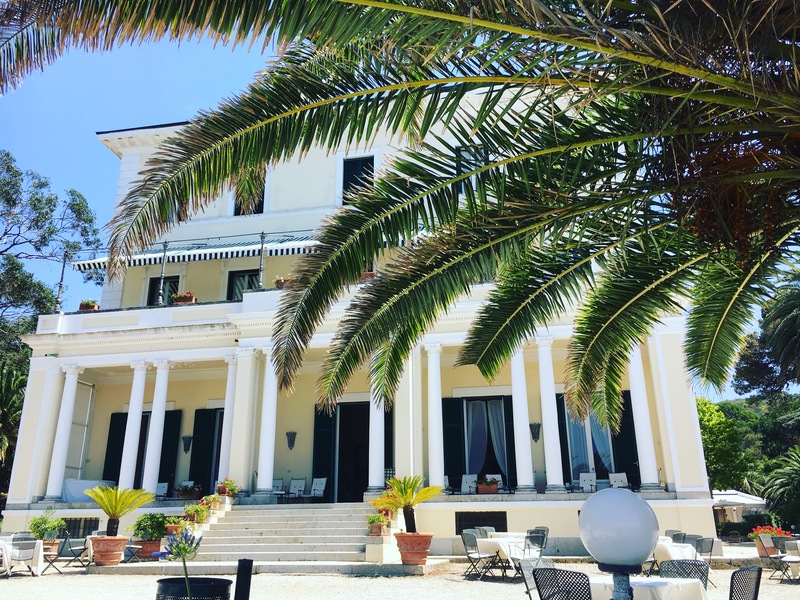 We have booked one of the few 5 star hotels on the island, the island is not big, and you notice immediately the presence of mainly Italian, and European tourists. 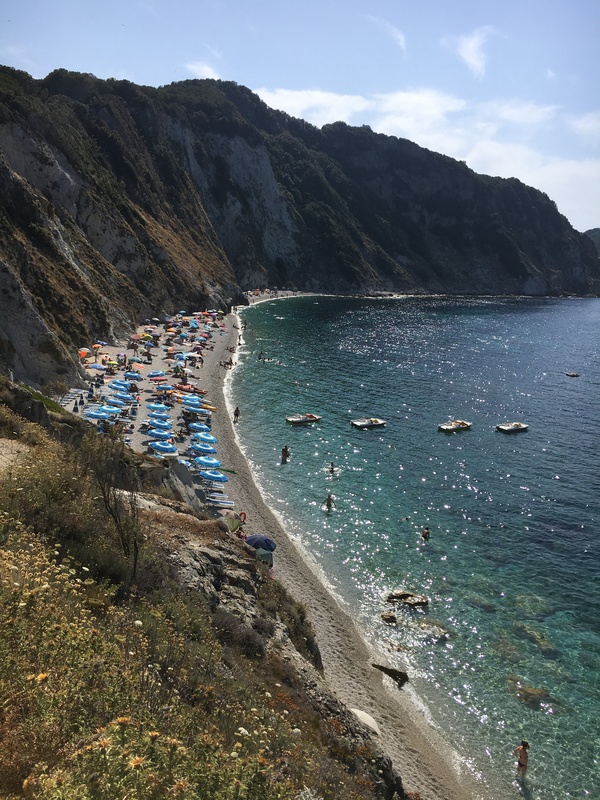 The drive from port to “Villa Ottone” is stunning, with million dollar views, leading us through mountain road, with sea on one side and lush mountains on the other. Other thing I notice straight away is flowers everywhere and hot, fragrant, salty air that is filling our car. 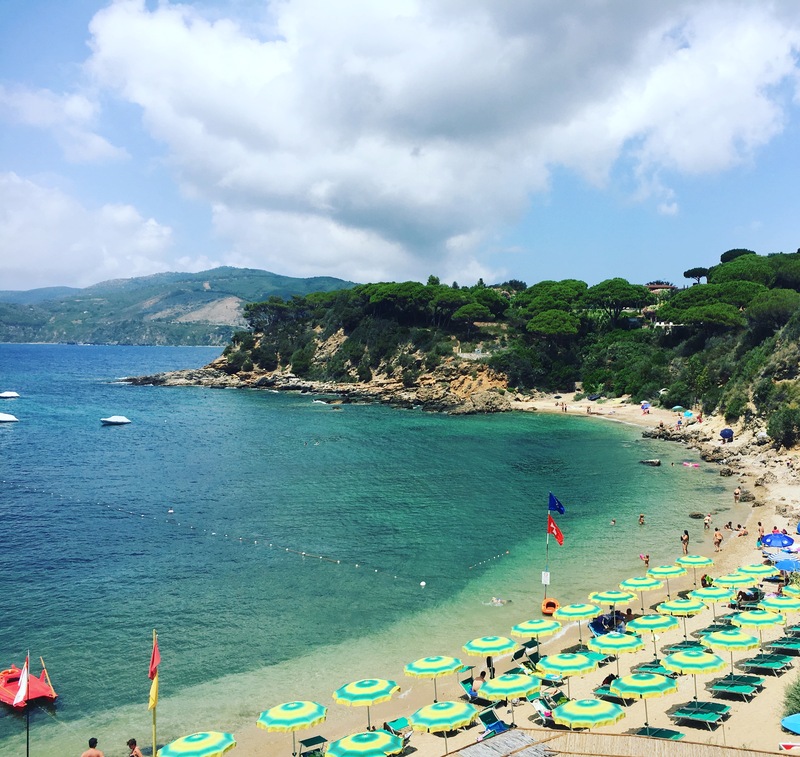 The Elba island is quite small, if we compare to other popular Italian islands, it would be the third of size of Sardinia, and you can travel from one end to island to other in 20-30 minutes. 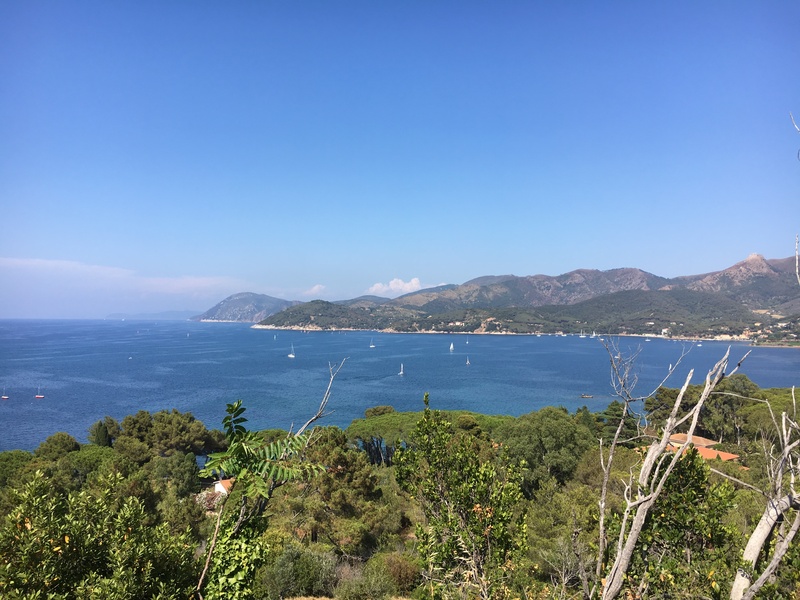 The main towns are spread throughout the island with Portoferraio in north, then Marina di Campo on south west coast, stunning beach town Porto Azurro and another stunner on the top of mountain Capoliveri south east and Rio Marina on the East of island. We didn’t get to travel the whole island, just because we wanted our mini holiday to be relaxed and without rush, but for sure, we saw some pretty gorgeous spots that made me fell in love with this island. Obviously because you are on island you are spoiled with beach choices, and there are so many to visit and see. After listening to locals and doing some research online we decided to visit two of them. Our hotel had a private beach so we were not in the rush to go around, and then why would you? – with comfy sun chairs, umbrellas, shower and bar service at our fingertips. 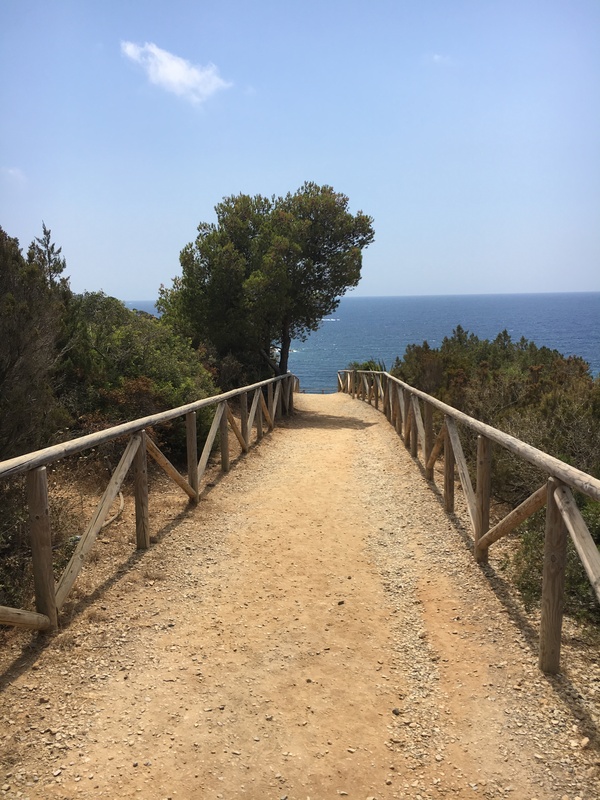 I have to say, getting to desired beach can be also challenging because most of them involve some sort of hike and climb, specially in summer heat of 35 degrees and being 7 months pregnant. But we made it and it was well worth it! 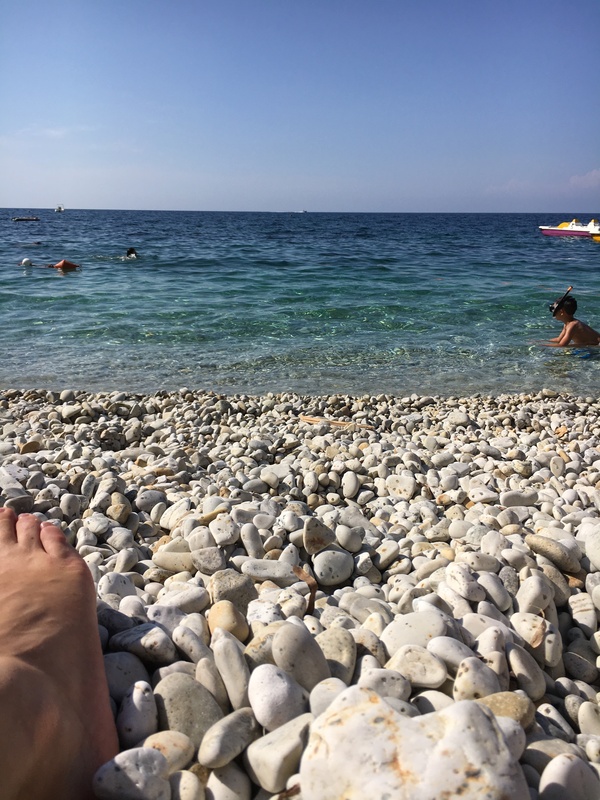 Most of the beaches are pebbled beaches, covered with white smooth pebbles making water looking perfectly turquoise green and so inviting. And we let ourselves to enjoy it to the maximum. 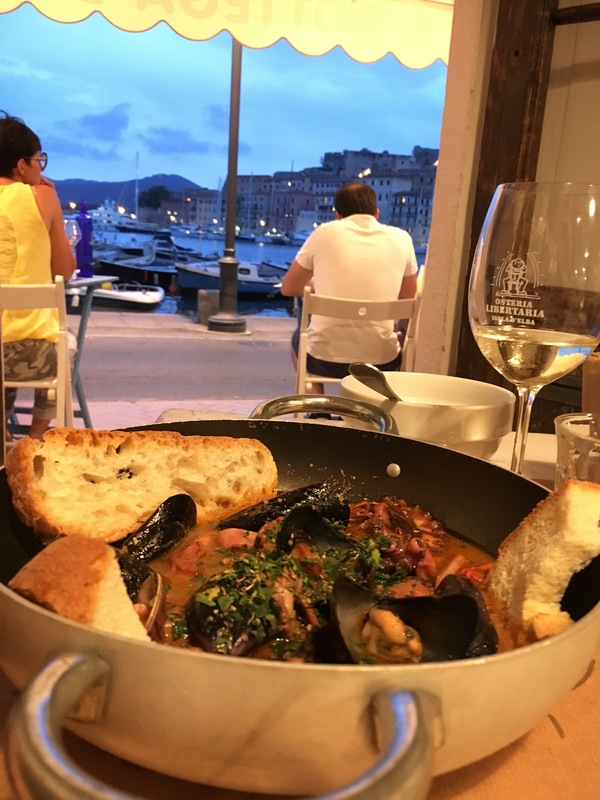 If Tuscany on mainland is meat eaters paradise with all salamis, prosciutto, wild boar and Fiorentina steak, then Elba island is seafood paradise. But really true seafood paradise. You wont find meat dishes on the menus in restaurants, but you will find all kinds of fried, fresh, dried, cooked fish, shellfish, mussels and other sea animals. And it is so good. I’m still dreaming about the seafood zupetta I had there, probably the best in my life. 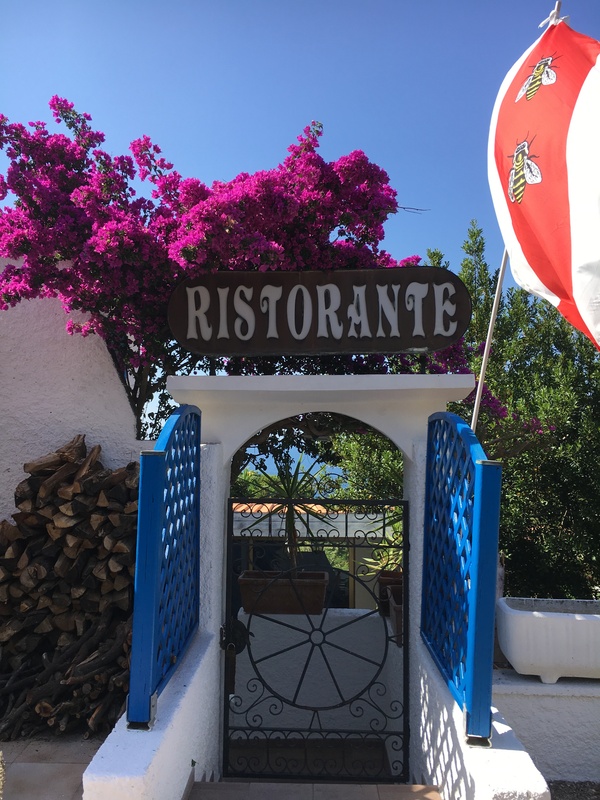 We went to osteria “Libertaria” in Portoferraio. We like to find our places on Google, and this one wasn’t disappointment for sure. The owner Lorenzo just like my husband Lorenzo, is a big wine lover, and is from the same town on mainland Tuscany as my husband. So long chat about wine and life couldn’t be avoided, but that was fine with me because I could admire the view of harbor from our table, raising moon and easy island life. I mean, I didn’t mind attention. You kind of feed of admiration from others and reassuring yourself of doing a good job. 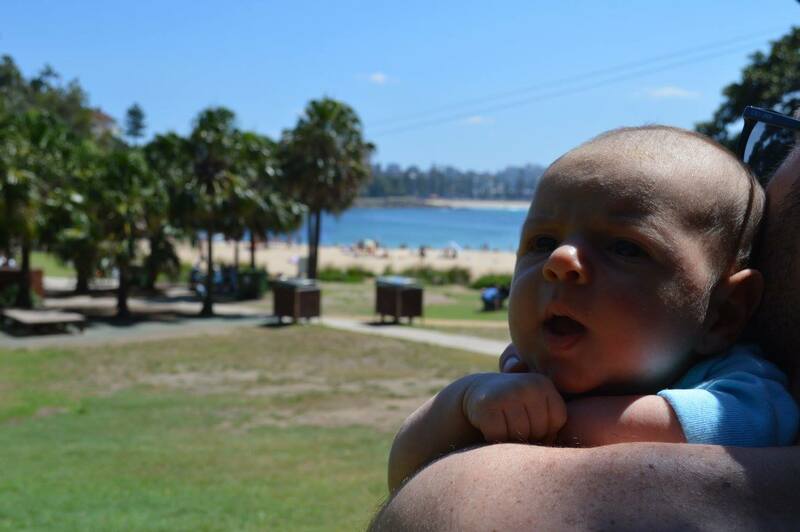 So when it came to the end of my husbands two months of working in Sydney, we knew we are going somewhere else to travel and the tiny person is not going to change it. You kind of have to if you have flown across the world and crossed the equator. Because we never had a real honeymoon, this was another good excuse (and we are going to use that one for quite some time still) to go higher and better. We also had to consider a place that is not too extreme to stay with baby, so we decided to go to Barrier Reef. And the island we fell in love was Hamilton Island. It is the largest, most inhabited and developed island of all island group. With personal airport, resorts, beachfront, grocery store, bakery, restaurants and everything else to make you feel like at world class destination. Hamilton Island one of the beautiful islands of Great Barrier Reef and is indeed built for families. Quite posh families. We decided to go with Palm Bungalows. Little bungalow houses scattered in two levels in the jungle, however only 2 min walk away from the beach. And it was the best choice to experience the real Australian tropics. The weather was unbelievable, considering that is it was turning into autumn. Daily temperatures were around 30 degrees, with somewhat 90% humidity, to add ten more degrees to Celsius. I wasn’t much worried about Sebastian being in this heat, because he was coping very good already in Sydney, where we were in the middle of summer. And he did great. I didn’t have a grumpy cry baby, he was a perfect baby, like knowing where he is and that he has to soak it all in too! So going back to bungalows, everything was perfect except tiny little ants that were obsessed with us, my baby and my (I guess so delicious) cherry-chocolate cookies I had bought in Sydney and brought with me to savior in the perfect moment. Didn’t notice them straight away getting comfy in our room, but when I woke up at night to feed Sebastian and noticed an ant row marching around my sleeping baby, I got freaked out to say at least. Then I couldn’t settle in my own bed because I had that creepy crawly feeling all the time. Lorenzo being optimistic as always:”Don’t worry, it’s natural, we are in their environment so we need to adapt. Not a biggie.” Yes it is a biggie, so the next morning I decided to call reception and ask for pest control. The end of this story was that they had to spray all the room with some substance and for the rest of the stay we would see an ant there and then, but at that point I considered them as “meh”. 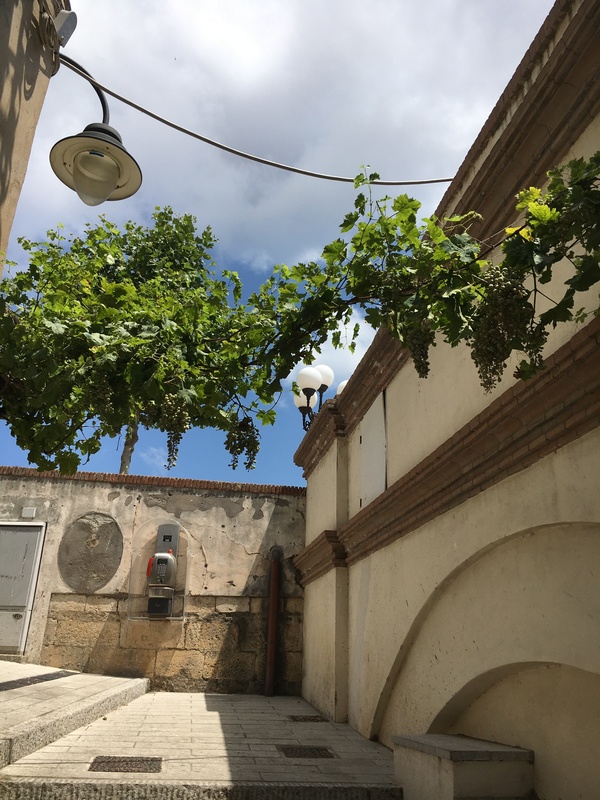 Great asset to our bungalow was spacious terrace where we hang Sebastian’s hammock and some pretty spectacular wines were emptied right there. There were few exotic moments throughout this trip and I will count them now. Being greeted by wallaby or as I call it – kangaroo cousin, right in our front door, jumping around bushes and snacking on some leaves. And they are quite friendly, they let you take pictures and film them. Kookaburras, indigenous birds, making quite a sound like cuk, cuk or wook, wook. Actually more like laughing monkey. When it got dark, but like really dark, because you are in jungle and on an island in the middle of ocean and you can’t see anything outside, all I wanted to do was close curtains and lock doors. And then during the night you hear different sounds, and you are trying to guess what is this sound, and when you realize that you don’t know these sounds at all. Like something swishing across the roof, something beating on the terrace, could it be wallaby tail? But then I didn’t hear him jump? But then you are on a holiday with small baby and in this case I have to say, thank God they wake us very early, as it gave me the chance to walk completely deserted beach before sunset, where you really feel alone in this beautiful world. And then you see the most beautiful sunset in the world, and people are starting to slowly creep out form their holiday homes and hotel, you see people running and doing yoga on the beach. Pure bliss. Sebastian was a real beach goer, he didn’t mind to nap on a lounge chair in the shadow of palm trees while the parents took turns enjoying water sports and swimming. Swimming in the warmest water I have ever swam. When you walk in the water and you don’t even twitch or think about water being different temperature from air. Before coming here, I had this idea of us as a family taking picture with one of the most beautiful views of Whitehaven beach during low tide behind us, so we went to book a tour to go to the viewing platform. Because it’s located on another island, you have to take a boat trip. Unfortunately this trip was only available to children from 5 years, so my dream crashed right there. But the good news was there was another trip available for to go as a family and spend a day on the Whiteheaven beach, one of the most beautiful and best beaches in the world, what we gladly did. Ignoring tour guide’s advice about wearing wet suit and Irukandji jellyfish I went to swim in the amazing warm water again, risking my life and health, but who cares, I’m in the paradise! There are no cars on Hamilton Island, only electric powered buggies. One was also ours, that took us around the island. We are hikers, so the most useful thing on this holiday was the Ergo Baby carrier. After hiking some amazing trails, that lead us to indescribable-in-words beaches, we went for the sunset on famous One Tree Hill. Ordering cocktails in ow-so-convenient location bar, running into some colleges of Lorenzo, because Australia is that small, we witness the most amazing sunset of our lives and counting… We will be back Australia! I decided to share this recipe with you, because I think this is one of the lightest, airiest and healthiest tiramisu’s I’ve ever had. There is no heavy cram or sugar overload. This recipe was given to me by Lorenzo’s mom. The real Italian mamma. You can adjust this recipe based on for how many people you would like to prepare. The proportion is for every 100 grams of mascarpone cream you need 1 table spoon (a real spoon, not measure) sugar and one egg. This recipe is for 8 portions and I think it’s the perfect size, because as we know the tiramisu is much better the day after. 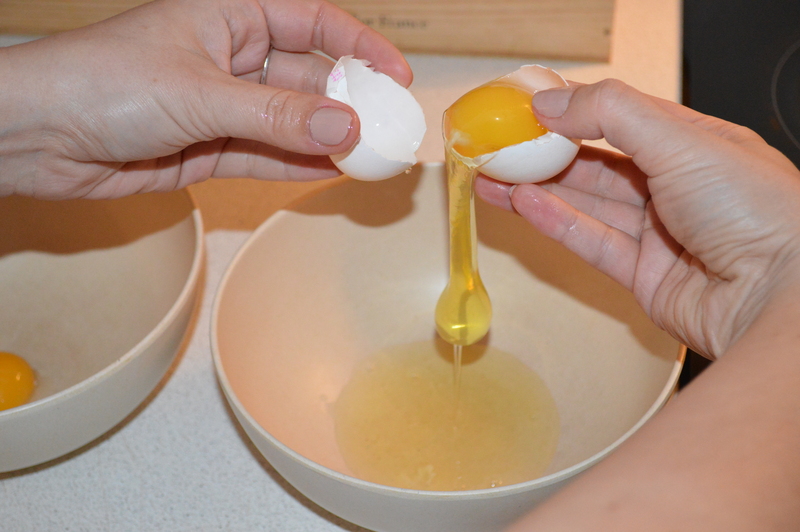 Start by separating egg whites from yolks in two separate bowls and then add three spoons of sugar to yolks. 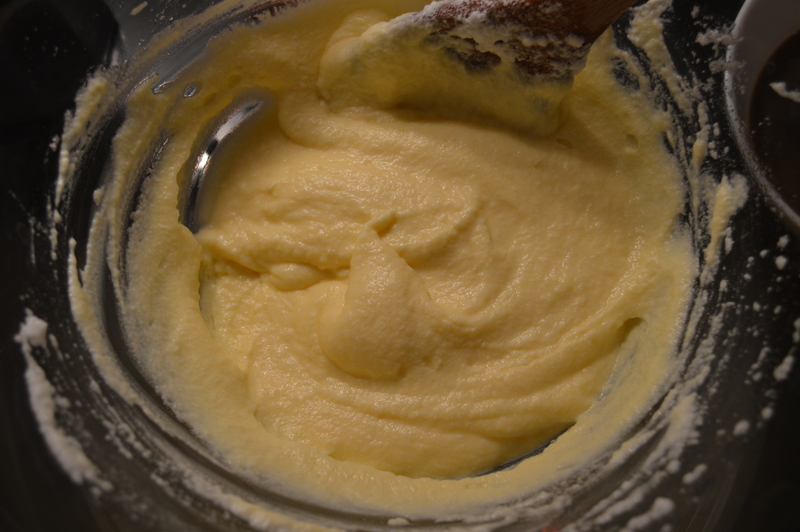 Then start beating egg whites until stiff and firm, then egg yolks and sugar until creamy. 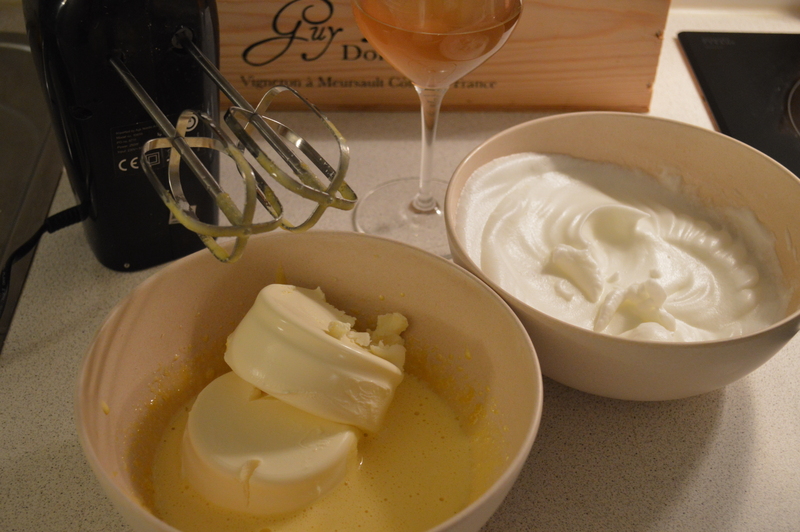 To beaten egg yolks and sugar, add mascarpone cream, one table spoon of liquor and beat it again until smooth and creamy. 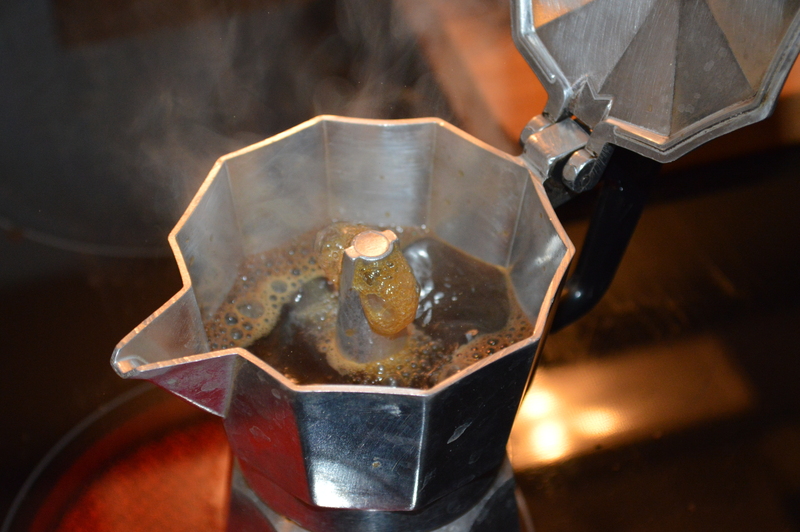 In the meantime put coffee to brew. When coffee is done, make sure you pour it in large plate or dish to cool fast. 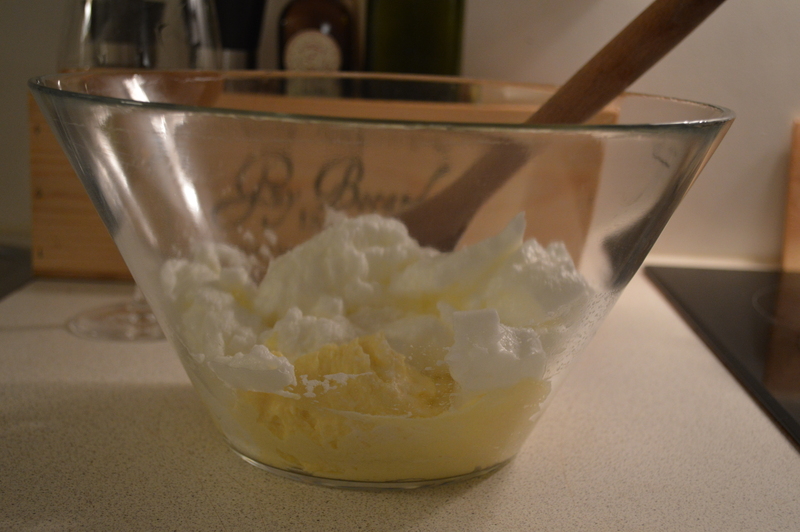 In a large bowl, put beaten egg whites and mix of egg yolk, sugar, mascarpone, then fold them together from top to the bottom using a wooden spoon. Be gentle and don’t over mix it, otherwise it will become too runny. 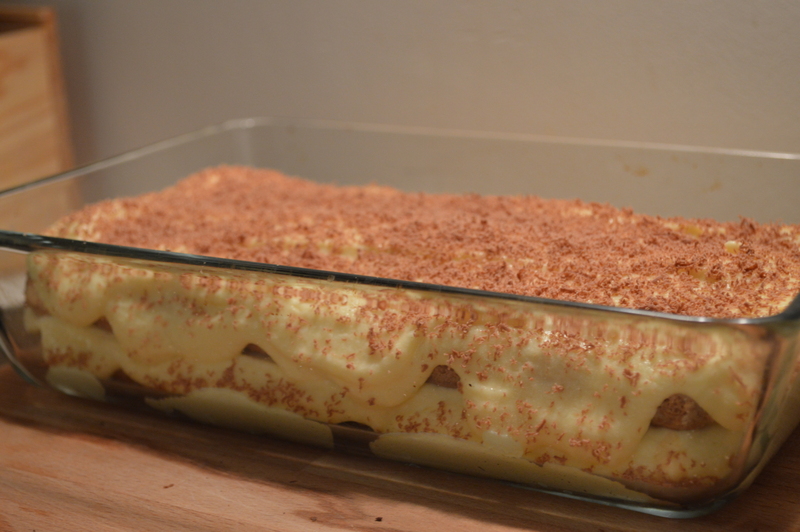 When the mixture is ready, you can start layering the tiramisu. Take a large dish approx. 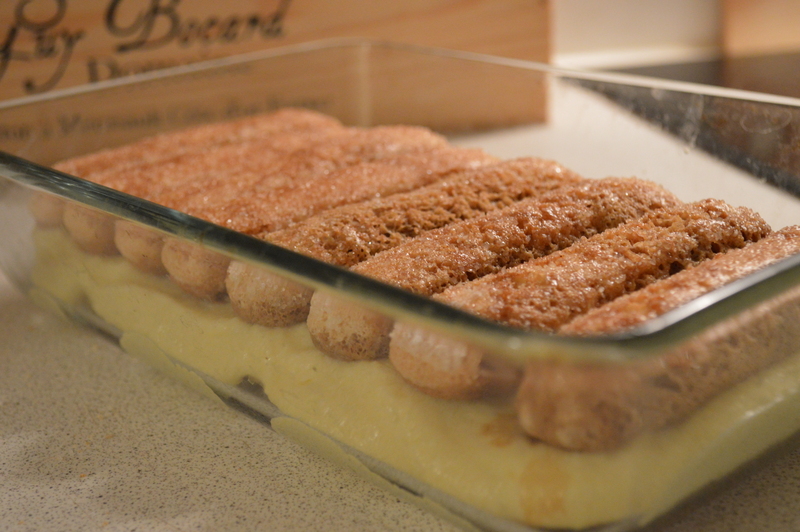 10 x 20 cm, lightly soak savoiardi biscuits one by one in cool coffee and start putting the first layer of tiramisu. Make sure not to over soak the biscuits in coffee, otherwise tiramisu will have a strong taste of coffee. 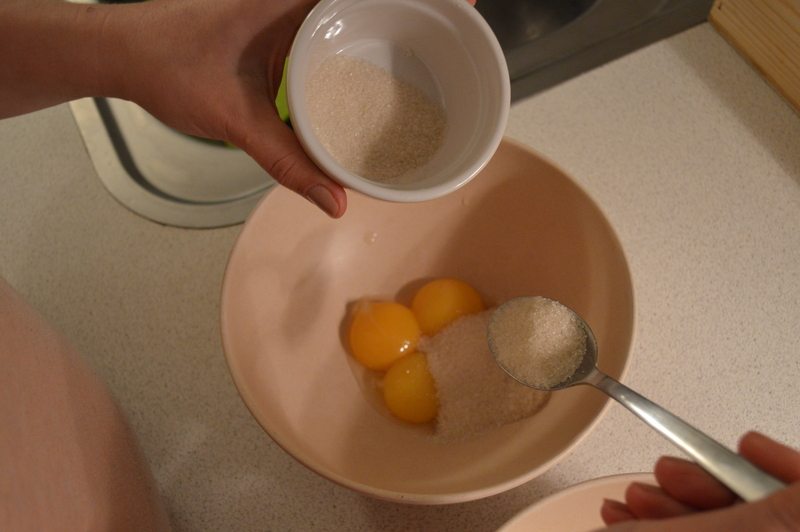 When the first layer is done, pour about the half of mixture over it and even it out with a spoon. Then build the second layer of biscuits and pour over remaining mixture and even it out. Top with some grated chocolate. Make sure you let it rest at least for few hours in fridge before serving it. Biscuits need to absorb moisture from mascarpone and egg mixture, so it is airy and fluffy for eating. And make sure to leave some for the day after, as it will be the best! 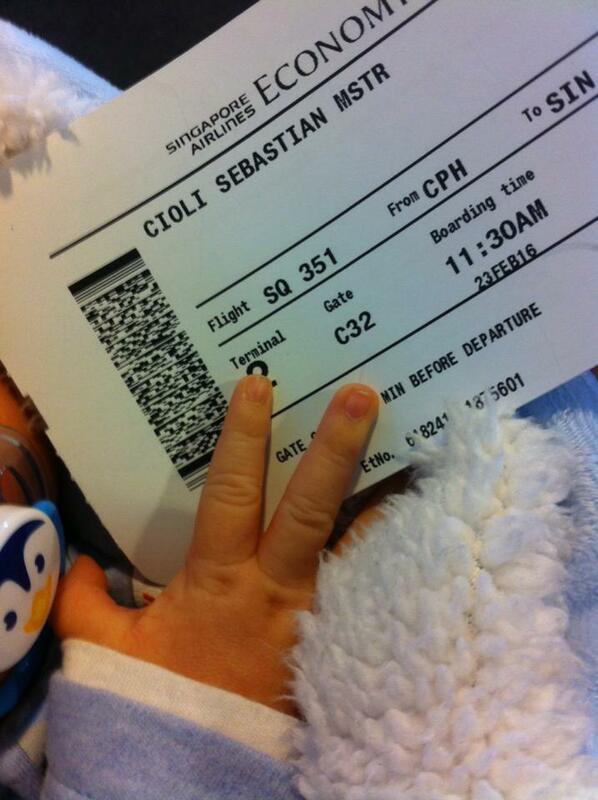 Call me crazy, but the first flight I took with my 4 weeks old baby was 24 hours flight to Sydney, Australia. Just me and my baby, because daddy was waiting for us there. I’m not one of those over protective moms that worry about every little thing, although I did google a lot of things when my baby arrived. If this is normal, if he is eating enough, is this sneeze ok, how long he should sleep and so on. Google was my best friend in the sleepless nights while breastfeeding in armchair. So of course I googled what to expect, and what to pack for the flight, but I had zero fear or panic of flying alone and for such a long time. I blame it now on “after-giving-birth-and-not-sleeping-enough” euphoria. At the same time I was so excited and overtaken by thought of Australia, two months of endless summer and what we as a family will do together. Of course only on Lorenzo’s days off, because he was there to work. Thinking back now, I want to call myself a little superwoman, for pulling everything together, but I also got a lot of admiration from other people for courage, so I’ll take that as honey to my ego. Thinking back to flying, I have to thank breastfeeding. If it wouldn’t be for that, I would probably freak out about making and sterilizing all the bottles. It did save me, however the start was very difficult. As we got on the first flight to Singapore we entered the night and the lights got dimmed. Me being surrounded by men, I didn’t feel so confident and comfortable with breastfeeding in public under spotlight, so I avoided reading light and I also got this idea that I need to cover myself with a light scarf, as I was seeing women before breastfeeding so effortlessly under scarves. It was a disaster, my baby refused to eat, I couldn’t see anything what happened underneath, my milk was spraying everywhere and I was close to desperation. And then I did something I’m not proud of. I went to toilet, put my baby on a changing table, while he was screaming there I hand pumped milk in the bottle, and later fed my baby. He gladly ate and nod off. We had allocated seat with baby bassinet, but of course my baby refused to sleep in there, the moment he realized he is out of my arms he started to cry and I had to pick him back up. So we stood and swayed in all the hallways and by lavatories, receiving admiration and sympathy looks from other passengers. Also Singapore Airlines staff was so considerate that they offered me to take Sebastian if I wish to go to refresh myself or just eat in peace. On the second flight from Singapore and Sydney seemed out of reality, maybe because I was very tired, hadn’t slept, all the noise as half of the plane was Chinese origin, other half Indian. When you realize how big is the world, and you have never been to this part of the world before. In this mini euphoria I softly nod off to sleep as Sebastian is also very tired form flight before and is sleeping like an angel now, but only on my lap. Our pre-booked bassinet is used as an extra shelf or food storage, which was always filled by lovely flight attendants for me when I wake up from naps. When we didn’t have a baby, we always looked at parents in airports with little horror, dragging twenty suitcases though the airport and thinking what are they packing? Can’t they pack less? In baby’s first year we have traveled like crazy, always downsizing on luggage because you are not going to another planet, unless you are going to the third world country, you will be able to buy if anything becomes necessary, if not, you will save your hands, money and sanity. My baby will turn 1 in couple weeks time, and I can say this year has been amazing! Baby had 19 flights all together. Myself I am a passionate traveler and I couldn’t imagine my life without travelling, and thinking that this little creature came into our lives and we should stop travelling and do what? Don’t be scared to travel with kids, no matter how small they are. Babies are tougher than you think, get over your fears, plan properly your trip, take health insurance and you will thank yourself one day for not missing out! Christening your baby. Yay or nay? I’ve been brought up in semi religious family. My mom was a church goer once in a while, I attended Sunday school when I was little, because it gave you chance to go to summer camp and meet new friends and had lots of fun activities every other Sunday with occasional bible reading. I was christened as a child and have a vague memory of church full of people and extremely long service because it was orthodox church you couldn’t sit down. Later in life you don’t think about it until you become a parent yourself. Sebastian came in our life and now is our blessing and joy. I didn’t think about christening until my mom mentioned it. Then it came to me that I have seen pictures of Lorenzo (my husband) being christened when he was a baby, and it must be a big thing in Italian family, this Catholic country is built all around church traditions. So quick call to Italian grandma and with relief she says:”I was hoping you would say it one day…(about Christening)”. It’s not about how many times we are going to church but when you become a parent you would do anything to protect your child, even if it’s superstition. Because we were going to Italy for Christmas anyways we decided to join both things. We decided to do it in the same church where Lorenzo was christened so we went to see the padre Guseppe before christening. He was very old and walking with help but remembered Lorenzo form when he was a child and was able to name his brother and parents. Overlooking his old age and illness he was very lovely and funny. He gave us a pep talk about our roles in the family, asked about our marriage and after finding out that we got married in council not church told us we also have to get married in church. After Lorenzo’s question if he can marry us again at some point in future? He answered:”Yes but you need to hurry up! I have one year top!” Funny and little sad at the same time. When saying goodbyes the day before christening, he adds:”Tomorrow at 11:30 christening and bring me antipasti!” (starter Italians eat for lunch or dinner).